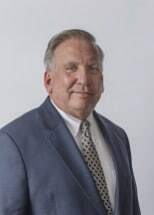 Home > About Our Firm > Beecher A. Bartlett Jr.
Beecher A. Bartlett, Jr., a highly qualified, dedicated and effective trial lawyer with over 33 years of experience, focuses his practice in the areas of Litigation, Insurance, Personal Injury and Employment and Labor. He strives to create reasonable expectations for his client in the resolution of their legal matters, which ultimately helps minimize the stress and anxiety that many clients experience. Mr. Bartlett is committed to providing an honest assessment of each matter by engaging in early dispute intervention when possible and examining each angle to evaluate and protect his client's interest. He devotes the time to first understand his client's goals and then look for cost-effective solution to obtain the results his client desires. Mr. Bartlett represents corporations as well as individuals and has vast trial and appellate experience in both state and federal courts. An accomplished litigator, he handles every phase of the litigation process which includes investigation, pleadings and discovery, pre-trial, trial, settlement and appeal. He is familiar with and regularly utilizes the services of some of the best experts in the nation. The Best Lawyers in America, a prominent, highly respected peer-review publication, selected Mr. Bartlett for inclusion to its 2011 list for personal injury and insurance law. Mr. Bartlett was named Lawyer of the Year for 2012 in the area of Insurance Law. He was also named a Top Attorney by City View in several categories. Mr. Bartlett recently represented an employee with many years of service to a company that fired her within days of learning that she was gravely ill with cancer. A federal court trial resulted in a significant jury verdict in favor of Mr. Bartlett's client. In another instance, he represented shareholders of a company that lost a substantial amount of money to an investment company which had misrepresented a future investment. The investment company and its owners ultimately filed petitions in bankruptcy, and Mr. Bartlett represented the shareholders in adversary proceedings which he prosecuted in bankruptcy court. A substantial settlement was awarded to his clients.